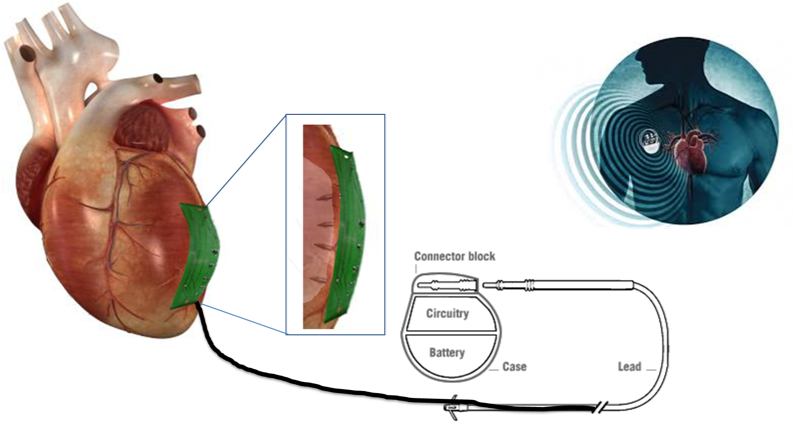 The goal of the project is the development of a disposable, self-powered biosensing microsystem based on the integraton of a biofuel cell connected to a microsensor array and readout for point-of-care diagnostics of biofluids including urine, saliva and blood. Endosseous implants support bone healing and permit early musculoskeletal loading shortly after trauma surgery. Monitoring of osseous healing by X-ray imaging is limited due to high energy absorption within the patient’s body and exhibits reduced resolution at metallic surfaces. To overcome this technological limitation we have developed an implantable biosensor capable of monitoring implant integration, stability and patient-dependent bone healing kinetics and has four discernable features. Every transplanted tissue and solid organ bears the risk of rejection, which can finally result in the loss of the transplant with falling back into disability or even death. To overcome the medical risks associated with obtaining heart tissue biopsies to identify organ rejection episodes, we are currently developing an titanium-dioxide coated implantable biosensors for transplant rejection monitoring. Detection of early stages of rejection and continuous monitoring can prevent severe organ impairment or even loss of function.